Whenever we are involved in Forex trading, emotion will always interfere with our trading decision. I am talking about fear to lose and greed to win. Everyone of us has gone through this phase and it is very difficult to control when there is no trading plan or strategy to assist us. And this usually end up with more trading losses than profit. So, to control emotion, it is important to learn the rules of trading discipline. For the past 2 years in trading, I have read a lot of articles on trading discipline. And I like this one that talks about the rules that we must follow in order to succeed. It has 25 rules which I will share with you in 5 parts. It has been proved that when emotion overcomes your trading plan, you have less money from the market. So, for sure you know that discipline = increased profits. Be disciplined every day, in every trade, and the market will reward you. Don’t claim to be disciplined if you not 100% of the time. To be disciplined all the time is of the utmost importance. It does not permit emotion to take over. Take for example, you want to quit smoking forever but you sneak a cigarette once a while, then you have not quit smoking at all. 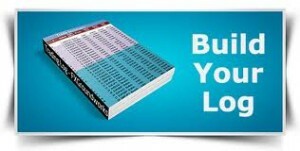 It is the same to Forex trading. 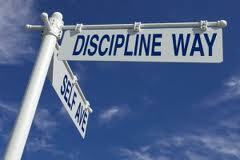 You cannot claimed to be a disciplined trader if only 9 out of 10 trades are traded with discipline. Why? Because you never know the only one undisciplined trade will really hurt your overall performance of the day. Discipline must be practiced on every trade. The market will reward you even it is a losing trade than your emotion asking you to hold on a bad trade for too long. Thus, if I lose $200 on a trade, I should have exit the bad trade quickly instead of losing $1,000 if I had remained in that losing trade. 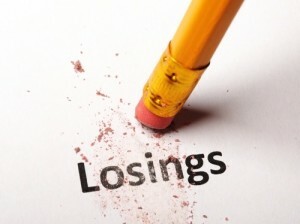 I can claim that I saved myself $800 in additional losses if I have been disciplined. I follow this rule and I believe most good traders follow too. If you lose 5 lots (contracts) per trade, you could save yourself a lot of money by lowering your trade size down to a one lot on your next trade. If I have two losing trades in a row, I always lower my trade size down to a one lot. If my next two trades are profitable, then I move my trade size back up to my original lot size. So, listen to this rule: lower your trade size, try to make a tick or two, or even scratch the trade and then raise your trade size after two consecutive winning trades. Most new traders will violate this rule, including myself. However, it should be our goal to try harder not to violate it in the future. 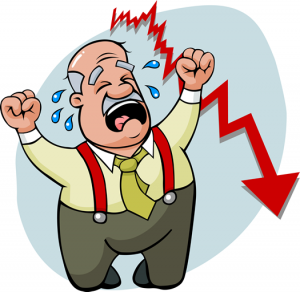 This is the emotion factor – Greed. You see that the market has rewarded you by moving in the right direction, however, you are not satisfied with a small winner. So you hold onto the trade in the hopes of a larger gain, only to watch the market turn and move against you. Of course, you have no choice and indecision kicks in and the trade further deteriorates into a substantial loss. There is no need to be greedy. It is only one trade. 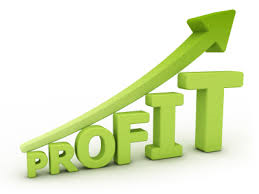 You will make many more trades throughout the session and many more throughout the next trading sessions. Opportunity exists in the marketplace all of the time. Remember: No one trade should make or break your performance for the day. Don’t be greedy. Your biggest loser cannot exceed your biggest winner. This rule is easy to understand and follow. It is advise to keep a trade log of all your trades throughout the session. If, for example, you know that, so far, your biggest winner on the day is 50 pips, then do not allow a losing trade to exceed 50 pips. If you allow that to happen, then you have a net loss when you net out the biggest winner and the biggest loss. So, not good on your result. I will stop here for the time being as these 5 rules are enough for us to absorb today. So come back again for Part 2. Stay tune! Why is Forex News important?